Orders over $20.00 USD will be shipped (Standard Shipping) free of charge within Continental North America. To receive your product sooner, please call us. When You Can Expect Your Shipment? Orders are shipped by Ground Mail within North American and Air Mail for Overseas orders. Unfortunately, we are unable to guarantee shipping time. All orders are shipped from a warehouse in Pennsylvania (PA), USA. Standard Shipping delivers 1 - 3 business days from order date. Most European orders are delivered within 1-2 weeks. Delivery times to other countries will vary by destination. Please call or email for an estimated delivery date. All MendMyHip electronic products come with an Iron-Clad 60 Day Money Back Guarantee on every purchase. You will not be left on your own after purchasing from us and we strive to follow up with all of you after you receive our shipment. We welcome you to email us anytime or call us during business hours (5 days per week) with any concerns or questions you may have. Our highly trained Advisor Team is understanding and respectful of your situation and will answer your questions to the best of their abilities. 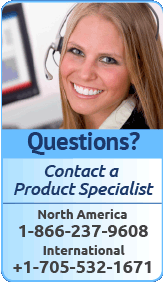 The toll free office number is 1-866-237-9608. We all know that healing of soft tissue injuries does not necessarily happen overnight and treatment requires time and effort. When purchasing from us, we ask that you take the time to treat yourself as recommended in the treatment guidelines for a 6 to 8 week period. If you are not satisfied with the results after 6 weeks of use, contact us for a full refund or request an extended return period. Note: when you return the produce, pack the product securely in a box. Include a copy of the original receipt OR the purchasers name, phone number and original shipping address inside the box. 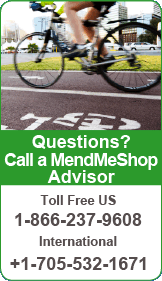 service@mendmeshop.com with "Warranty Claim" as the subject in the email. We appreciate you taking the time to let us know about your MendMyHip experience. If you have any suggestions or would like to provide a testimonial, please contact us. We are always working to improve our products and service. MendMyHip.com is dedicated to providing the highest quality therapeutic products with sound treatment advice throughout your rehabilitation. 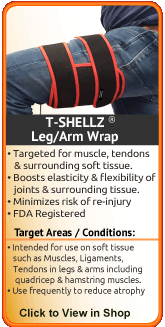 With the proper tools and continual support you will find relief from your pain, improve your range of motion, heal faster, and have flexible soft tissue that is resistant to re-injury. 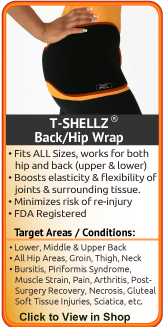 We are committed to researching, developing, sourcing, and distributing only the most effective products to treat soft tissue injuries and chronic conditions. 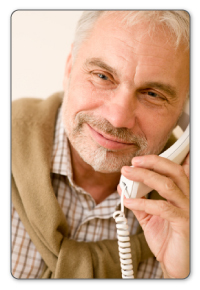 MendMyHip.com provides affordable therapeutic devices that are safe and easy to use in the comfort of your own home. The devices include Deep Tissue Regeneration Therapy devices, information ebooks, and therapeutic accessories. 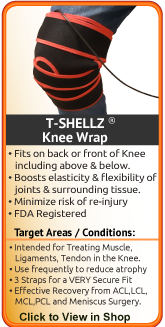 We are continually improving our products and adding to our strong line of therapeutic devices. 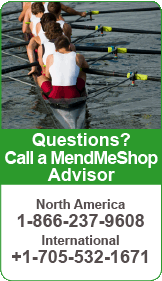 Our knowledgeable and friendly MendMyHip Advisors and Product Specialists are available throughout your entire treatment to answer your questions about our therapies and how to treat your soft tissue injury or condition (i.e. 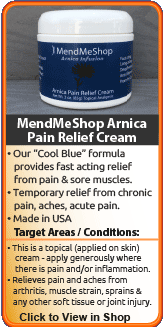 muscle strain, tendonitis, joint pain, bursitis, etc.). MendMyHip.com is a division of MendMeShop®, both of which are trade names for IN.GENU Design Group Inc. located at 60 Pine St., Collingwood, Ontario Canada L9Y 2N7. MendMyHip.com products are only available online. Our secure shops and ordering process ensure that your order is handled securely, filled properly and delivered promptly. All rights reserved, MendMyHip.com - a division of MendMeShop.com. Note: we refuse all mail and parcels that require us to pay customs charges.